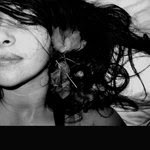 wrong lips: shout out to RHYTHM LAB RADIO! 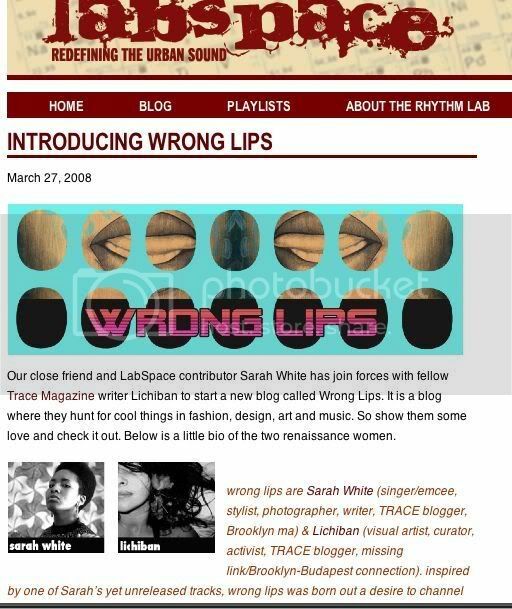 wronglips was featured on LABSPACE, the website of Rhythm Lab Radio! thank you for the love, guys! 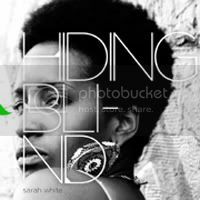 check out their website which is not only a cool resource for "music inspired by the heartbeat", but you can also listen to some badass podcast recordings of their radio shows. 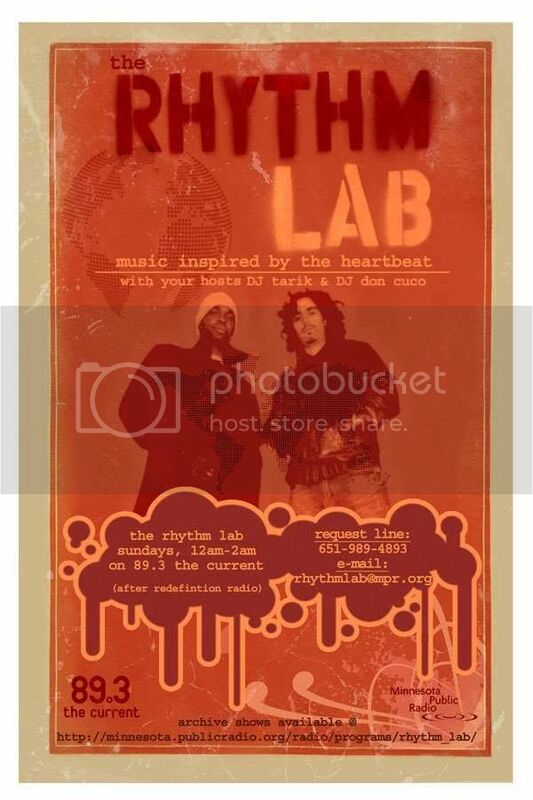 "The Rhythm Lab features not just one type of music, but rather showcases the entire rhythm diaspora: soul, neo-soul, funk, hip-hop, jazz, nu jazz, world beat, go-go, latin, broken beat, and reggae. The Rhythm Lab airs Saturday nights from midnight - 2 a.m. and can be e-mailed at rhythmlab@mpr.org. 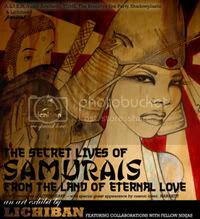 Read more about the show." 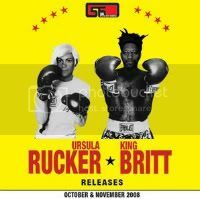 RLR is manned by Tarik Moody and DJ Don Cuco. Tarik got his first taste of the music industry back in the mid 90’s as an intern for a cable access music video show called Sonic Ignition in Washington D.C. He met and talked to artists such as Chuck D from Public Enemy, Republica, and Cypress Hill. He moved to Minneapolis in 1998 and started volunteering at KFAI in 1999. Eventually he hooked up with DJ Jennifer and became co-host of the long-running show Groove Garden. In 2003, he became one of four hosts for KFAI’s Local Sound Department.DJ Don Cuco started his musical journey at the fresh age of ten. With Influences from Latin Rock to Afro Cuban jazz, Funk to Hip Hop, Electronica to Salsa, Reggae to Cumbia, Mendez has always been ahead of his time. He also plays guitar, and was featured on Los Nativos’ first full length album, Dia de Los Muertos. Give them some love and check their myspace page.